There is a book in market QUESTION BANK IN AGRICULTURAL ENGINEERING BY ER, AMANDEEP GODARA. The book also contains answers with explanation of last 9 yrs GATE. If u read this book only, you may get a good position in IITs. 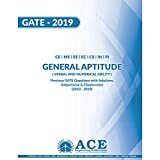 This is Surendran.K, can you please tell me where can I get the solutions (and not just answers) to of GATE-2013,14,15 of Agricultural Engineering stream.Thank you so much for spending your precious time to read my request. 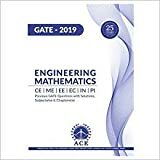 Currently there is no such book available in market which provide complete solution of GATE Agricultural Engineering previous years papers. You please check this section regularly. Currently we no such contacts. If we find any we will notify here on this blog. Be regular with this blog.